Specializing in memorable fishing trips that will last a lifetime. Capt. John “HawkEye” Aucoin has been a professional guide since 1989. He was born and raised in south Lafourche Parish to parents in the oil field industry and to grandparents who were professional trappers and oyster fishermen. HawkEye has been featured on Fishin’ Game Report with Frank Davis on WWL Channel 4 for 21 years as well as on local radio shows, books, and magazines. Spending the day on the water with the prospect of fighting some of the many species of fish that the area has to offer is an intoxicating experience for John and he wants to make sure that his customers have a chance to experience this for themselves. Your day will be challenging but fun and relaxing as you enjoy what the Louisiana outdoors has to offer. All of our trips are tailored to your request and we are capable of handling everyone from the novice to the die hard fisherman. Come experience the best that the Louisiana Gulf Coast has to offer, all the time building memories that will last a lifetime. Aside from fishing, South Louisiana is full of wildlife from the beaches and bays to the inland marshes. You will enjoy a day of cruising the beaches, bays, and marshes in search of your prey all the while enjoying what Louisiana has to offer. 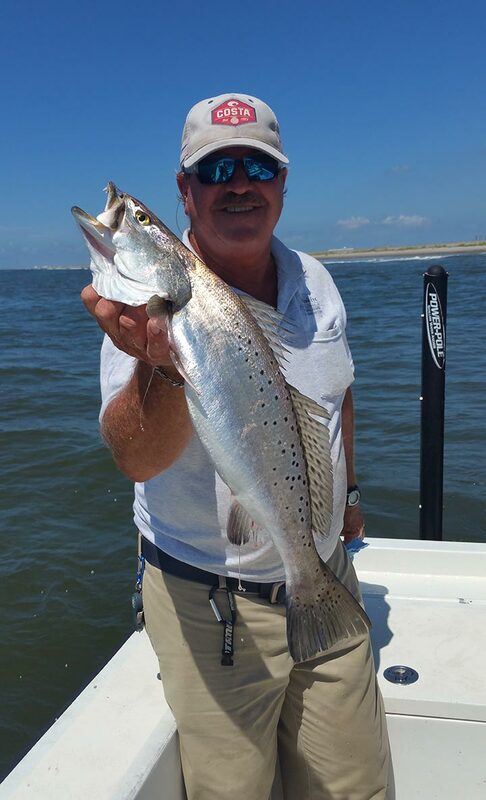 Golden Meadow, Fourchon, and Grand Isle offer the best fishing Louisiana Gulf Coast has to offer. The combination of vast oyster reefs, rock jetties, sand flats, oil field structures, and inland marshes support an array of marine life.